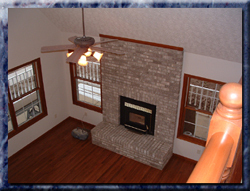 Richard J. Mosier Builders, Inc.
Richard J. Mosier Builders, Inc. homes contain all the best products and features possible. Each room is carefully thought out as to how it will best suit its future owners. The kitchens have functional floor plans with high-quality appliances. The bathrooms contain glass block showers and whirlpool bathtubs. Each bedroom has a nine-foot ceiling and spacious closet complete with shelving. And not to be left out are the living rooms and dining rooms that have open floor plans and airy, ten-foot ceilings. In addition, each room is represented by the best name brands in their respective industries, including insulation from Nu-Wool, hardwood by Bruce Hardwood, Kemper cabinetry and many more. At Richard J. Mosier Builders, Inc., we want our clients know they are receiving the best of everything. From the first day you walk into our office to the walk-through at completion, you will always know that your needs always remain our highest priority, and it will show through in every part of your new home. We may be a small company, but we're big on client satisfaction. 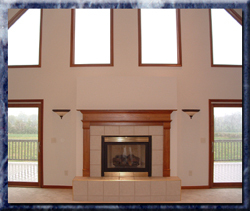 Richard J. Mosier Builders, Inc. is the homebuilder that will make your dream home come true. This site is best viewed at a resolution of 800x600 with Internet Explorer 5.0 or greater. © Copyright 2004 Richard J. Mosier Builders, Inc.